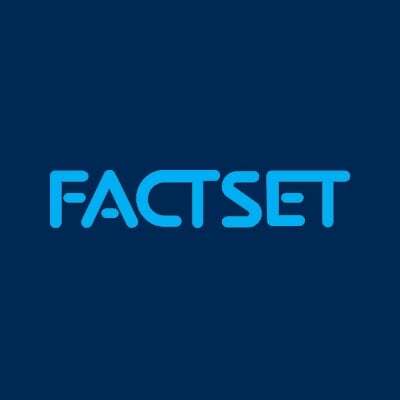 Dave Hannibal, ‎Global Manager, Channel Partners at FactSet contributed to this article. Investors are continually scouring financial statements for warning signs that indicate deteriorating company health. While these signals typically make intuitive sense, it’s difficult to empirically measure which warning signs are true red flags that signal imminent danger. An example of this comes from observing rising Days Sales Outstanding (DSOs), which occurs when accounts receivable grow faster than revenues. Many analysts consider this a warning sign that revenue growth could slow as the result of a company pulling future sales forward (presumably to meet difficult quarterly sales targets) by relaxing credit terms to customers. This is particularly true for Enterprise Software and IT Services companies such as IBM, where sales cycles are long and contracts can be negotiated. 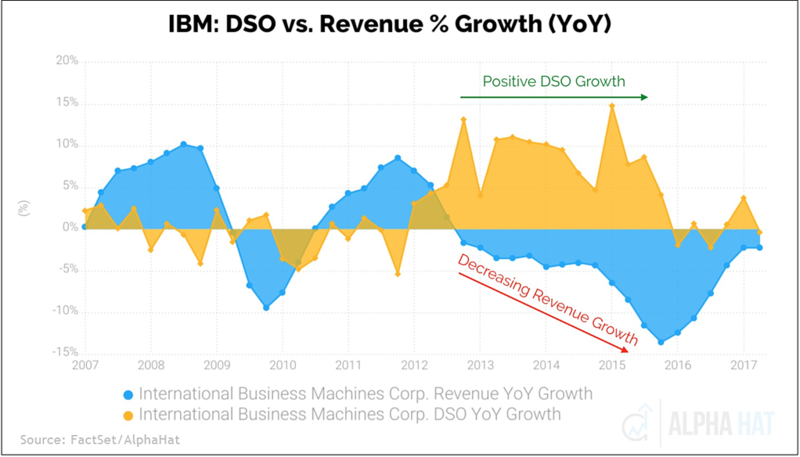 In the chart below, we see IBM’s DSOs increasing during the period from mid-2012 through mid-2015 while the company was facing increasing revenue pressure. 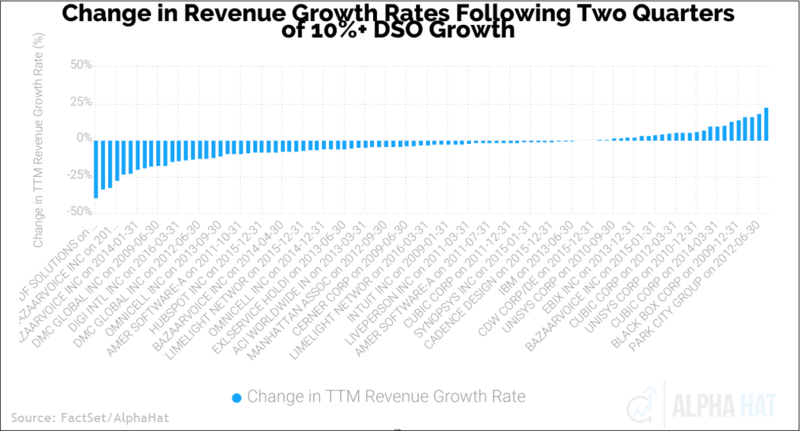 Using the analytical engine of Alpha Hat, a FactSet FinTech sandbox partner, and FactSet’s fundamental data, we can examine the effectiveness of this indicator as a warning sign by measuring the typical outcomes of rising DSOs on revenues for a large range of companies over a specific time span. 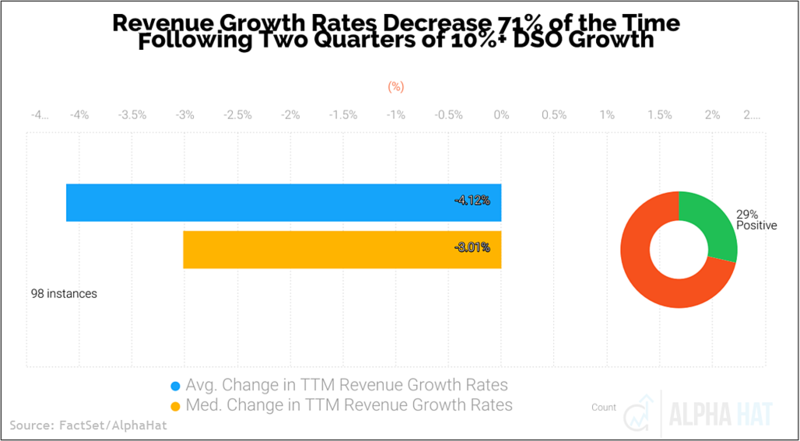 Our analysis studied 165 Enterprise Software and IT Services companies over the last 10 years using approximately 20,000 fundamental data points and shows that revenue growth rates declined 71% of the time in the year following rising DSOs, where the DSOs have increased by 10% or more for two consecutive quarters. Revenue growth decreased on average by 4.12%, compared to the prior year (defined as NTM revenue growth-LTM revenue growth). A number of Enterprise Software and IT Services companies currently exhibit this rising DSO warning sign. Current sell-side estimates imply stable-to-accelerating revenue growth rates for some of these companies, something our analysis indicates may be difficult for these companies to achieve. These firms could be in danger of downward estimate revisions. Using these methods, investors can better identify which warning signs are actually important and actionable. Alpha Hat builds next-generation analytics tools that enable investors to discover richer insights from data. 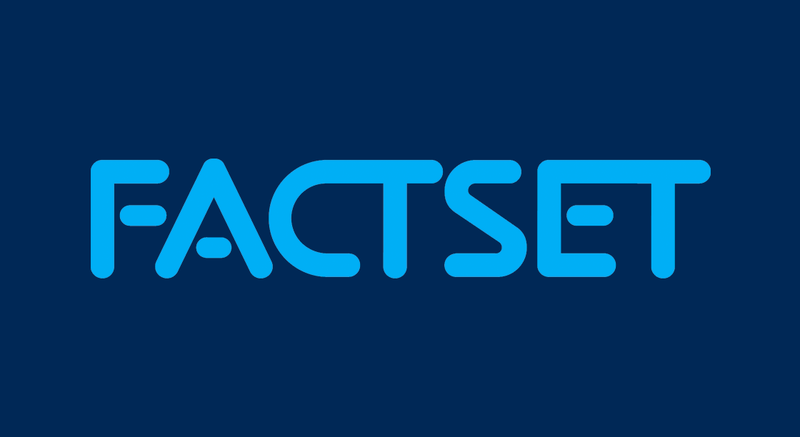 FactSet has partnered with Alpha Hat through Fintech Sandbox, a program that provides innovative financial technology startups with data from the world's leading data providers.